#ad Chicken Bacon Jalapeño Wraps and Burritos on deck! How many lunches do you make in the morning? 2, 3? Multiply by 5 school days a week? That's a lot of packing. We mix in school provided lunch with our own, but with school and youth sports, we always have a need to have some ready to go meals in the refrigerator. Just to break free from the plain sandwiches and protein bars, I'm making a protein filled Chicken, Bacon & Ranch burrito for the kids and a jalapeño wrap version for the adults. 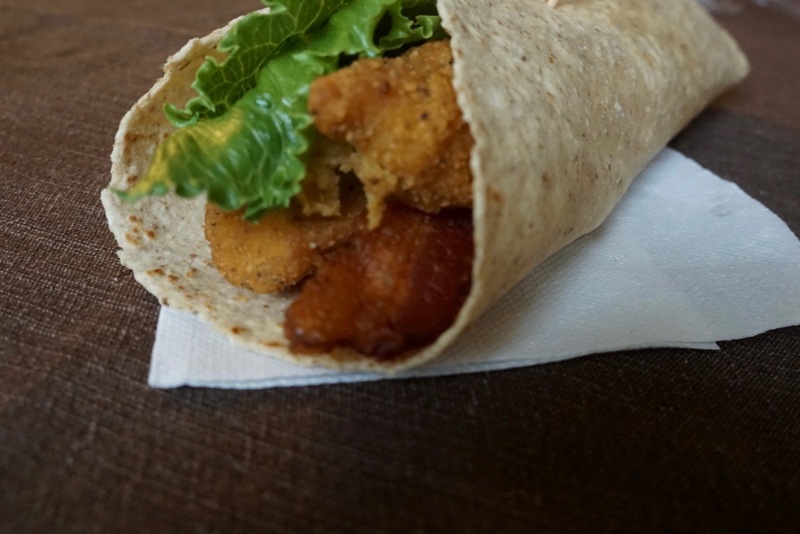 I'm using Tyson® Better for You Lightly Breaded Chicken Strips and Wright Brand® Bacon, which is a Texas brand! Go Texas! They are made the same way, I just fold them differently to distinguish which has jalapeños and which do not. Wraps are with jalapeños, burritos are without and also fit in a kid size lunch box a little better. Cook chicken strips and bacon in the oven. This can be done earlier in the day or the night before you make wraps. Cut a piece of plastic wrap, place tortilla on top. Spoon a bit of ranch dressing on top. 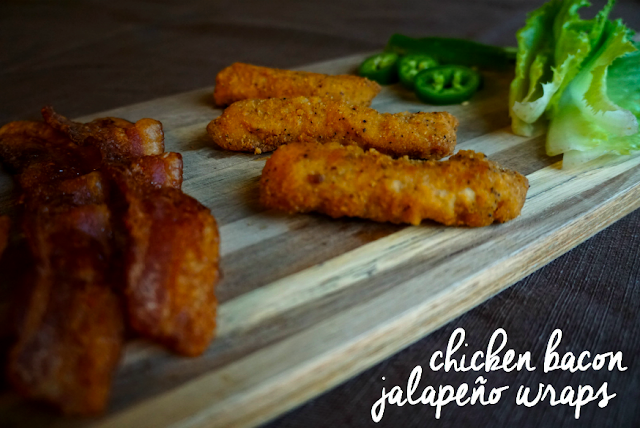 Layer with bacon, chicken strips, lettuce, jalapeños. Wrap the bottom up, then sided in for a wrap. Wrap the bottom and top first, then roll sides in for a burrito. Wrap plastic wrap around, use toothpick for closure. Making these are really easy and the result is a great meal. 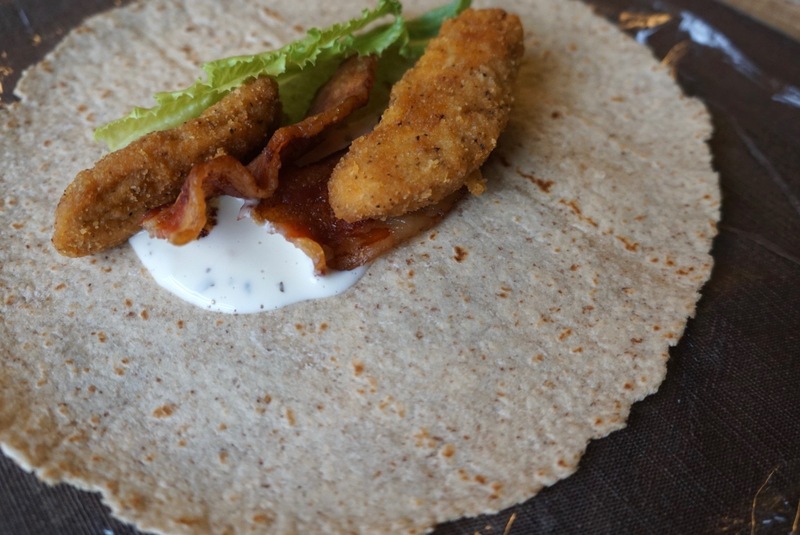 And for all of you moms that rush to find a great meal for dinner before or after sports practice, having a few of these wraps in reserve really come in handy before rushing to practice or for the hungry kids after. With natural ingredients, lightly breaded chicken, it really keeps us ready for anything. Paired with some fruit, I feel good giving them this meal anytime! You can find all the items at H-E-B. 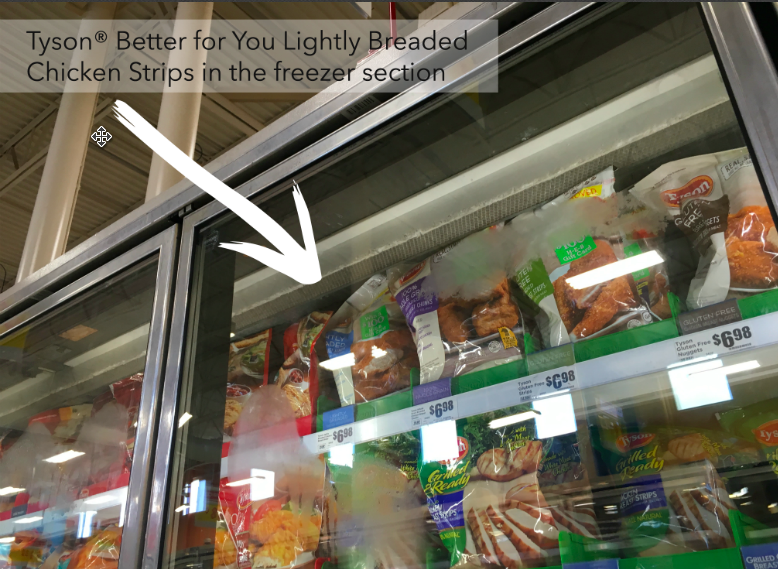 The strips are in the frozen section and be sure to look for a coupon on the on packages of Wright Brand®, State Fair® and Tyson® back-to-school products and enter to WIN 1 of 20 H-E-B $100 Gift Cards. For bacon coupons, you can find some on the H-E-B website, be sure to search for Wright Brand in the search box.